I-cord, aka idiot-cord, is a very simple idea with lots of creative applications. We'll learn how to make basic i-cord, how to work applied i-cord on an edge, make closures with i-cord, seam with i-cord, and apply i-cord decorations the surface of knitted fabric! 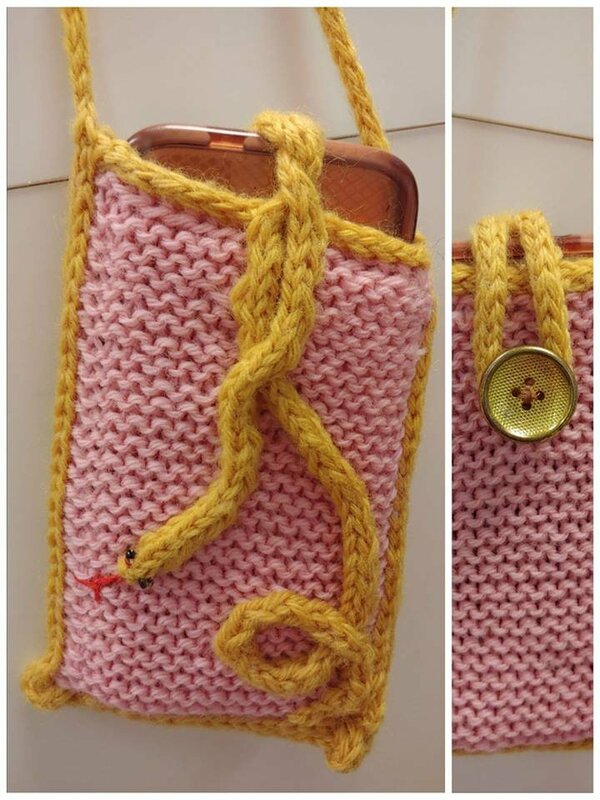 When you're done, you'll have a lovely cell-phone bag!